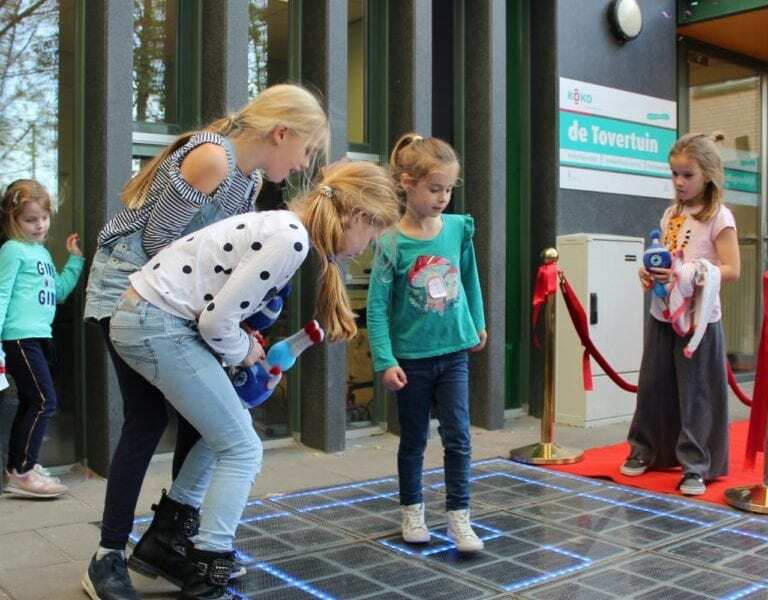 The Gamer is a smart energy floor that challenges children to play energetic physical games on the school playground. The Gamer is equipped with LED lights and walkable solar panels. The solar energy contributes power to your local grid. 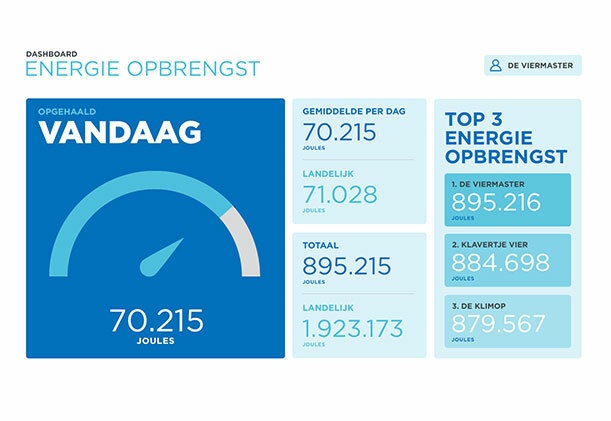 And a cloud-based management system visualizes the energy output and Game scores on a screen at a central location inside the school building. 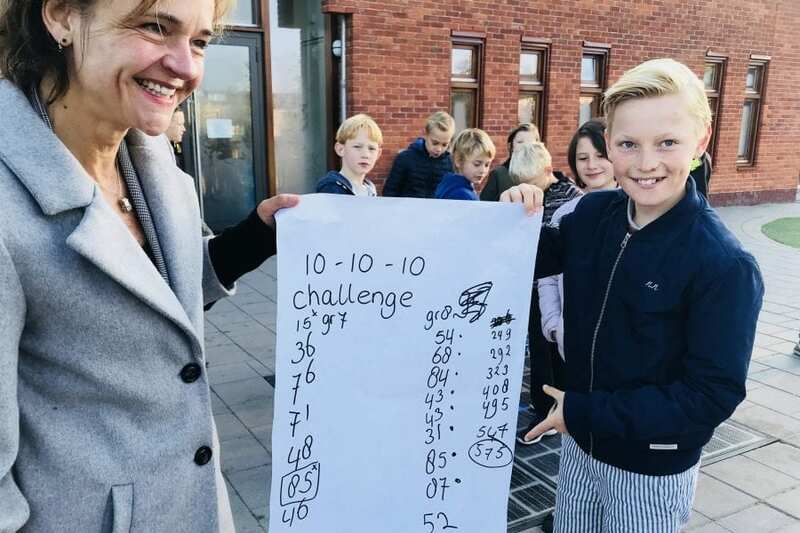 Want to boost the energy level of your school? Actively engage your students in the subject of renewable energy, whilst simultaneously stimulating physical exercise and creating environmental impact, together. GET ON IT! The Gamer consists of 9 walkable solar tiles. 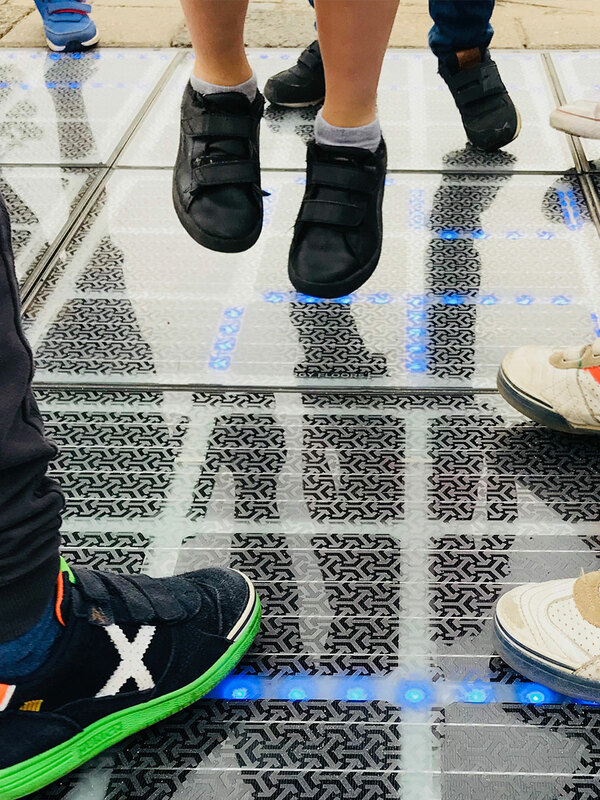 All tiles are equipped with sensored LED lights, that challenges children to get on it! Every module is made out of a glass top sheet with integrated solar panels and LED lighting. The solar tiles generate up to 35Wp per module. This energy is send back into the grid. The interactive LED Lighting can be programmed any way we want to. We are even developing a program where kids can program the LEDS themselves. Active learning is what can really stick with a kid. Jumping, hopping, climbing all build muscles, but they also build brains! Are you interested in the gamer?